Abuja, January 30, 2018: A Liberian judge, His Honor, Justice Yussif D. Kaba has been appointed the Vice President at the ECOWAS Court of Justice. 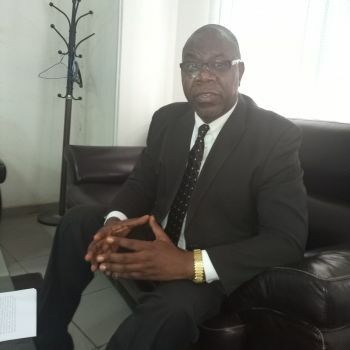 According to a release from the Liberian Embassy in Abuja, the Liberian judge ascended to the post within two weeks of his official resumption as one of seven judges at the regional court. The release recalls that Justice Kaba was sworn in as the Liberian member of the ECOWAS Court on December 16, 2017 during the 52nd Ordinary Summit of the Authority of Heads of State and Government in Abuja. He replaced his compatriot, Justice Wilkins Micah Wright whose last capacity at the regional court was also the post of Vice President. The release quotes Justice Kaba as however attributing his recent selection as the Court’s Vice President to the good work done by his predecessor Justice Wright. The Court’s leadership is determined by the college of judges on the bench. “I would attribute my selection [as the Court’s Vice President] to the good work done here by my predecessor, Justice Wright. His good work gave Liberia a very good image and the expectations of my colleagues on the bench as to what, in their opinion, I can do”, he stated. The Liberian judge then emphasized the need for more Liberian professionals in various fields to be exposed to such international services and institutions. He however hopes that Liberia’s under-representation at most international and multilateral organizations, including the various ECOWAS institutions will soon be resolved. Hon. Justice Jerome Traore, President, who represents Burkina Faso, Hon. Justice Yussif D. Kaba, Vice President who represents Liberia, and Hon. Justice Hameye F. Mahalmadne, Dean who represents Mali. Other members of the Court are Hon. Justice Yaya Boiro of Guinea, Hon. Justice Maria Do C.S. Monteiro of Guinea Bissua, Hon. Justice Friday C. Nwoke of Nigeria and Hon. Justice Alioune Sall of Senegal. Until his recent appointment at the ECOWAS Court, Justice Kaba had served in various capacities in Liberia. They include, Resident Circuit Judge of 6th Judicial Circuit, Acting Court Administrator, Acting Probate Judge, Relieving Judge and member of the Judicial Commission of Inquiry to investigate complaints against Judges. Others are Assistant Minister for Litigation, Assistant Minister for Administration and Public Safety at the Ministry of Justice as well as serving as Legal Counsel in the Law Offices of Tulay and Associates in Monrovia, Liberia.